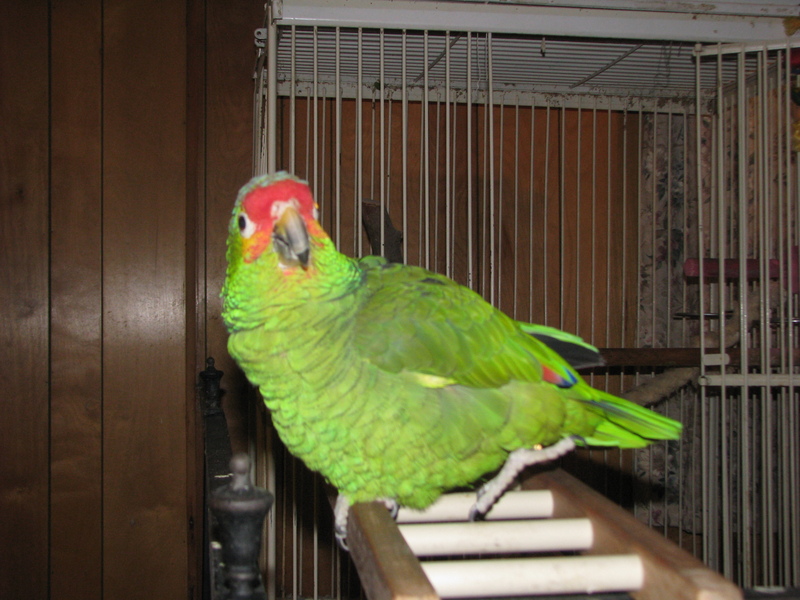 My bird Jasper is a rather interesting bird. The fact he can talk to us and respond appropriately always amazes me. Some people can say he is just mimicking you, and yes on occasion he does. But here are some examples of Jasper knowing when to say the right thing. For the record Jasper hates bugs. One day I saw he was still as can be. I followed his eyes and the direction and soon came across the object that had my bird captivated. It was a bug. Getting a paper towel I killed the bug and picked it up. Now we can’t just toss the bug out. Oh no no no. Jasper has to see the dead body or else he will still be looking at it. This particular day this was our conversation. Me: “Look Jasper I got the bug for you.” I went to his rail to show him. He walked steadily toward me keeping his eye on the tissue. Seeing the bug was dead he said, “Thank you.” Jasper then proceeded to go back to his ladder. If that does not convince you then how about this. I was going about my business talking to Jasper but not really paying attention to him. Finally it occurred to me he was not listening as he held perfectly still. 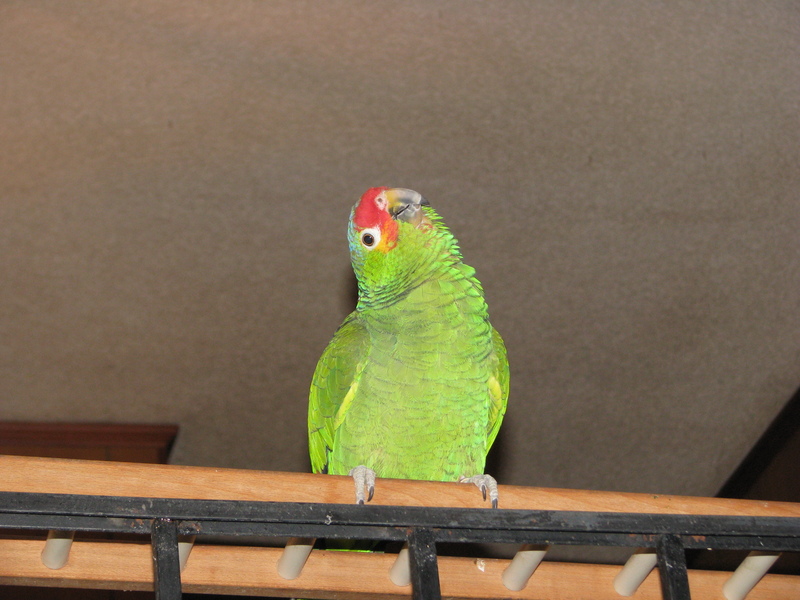 He eyes locked with mine and then to his beak then to my eyes again. Leaning in close I saw Jasper had an ant on his beak. Of course I did what any normal person would do. I started to laugh, my poor bird. He did not take kindly to that. Which I did after which I gave his head a pat which was his payment to me for helping him out. These little scenes occur often for my family and Jasper. 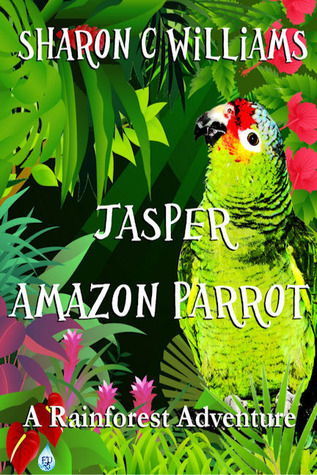 Thanks to that he has given me so much material some of which was incorporated in my book, Jasper, Amazon Parrot: A Rainforest Adventure. He does mimic yes but there are so many times he responds at the right time with the right saying which just shows us how smart our Jasper is.